It is finally the peak of summer here in Maine and beautiful, fresh produce is piling up in home gardens and farm stands all across the state. We recently found ourselves with an abundance of perfectly ripe tomatoes that were begging to be preserved at the height of their flavor and I knew just what I wanted to do with them. 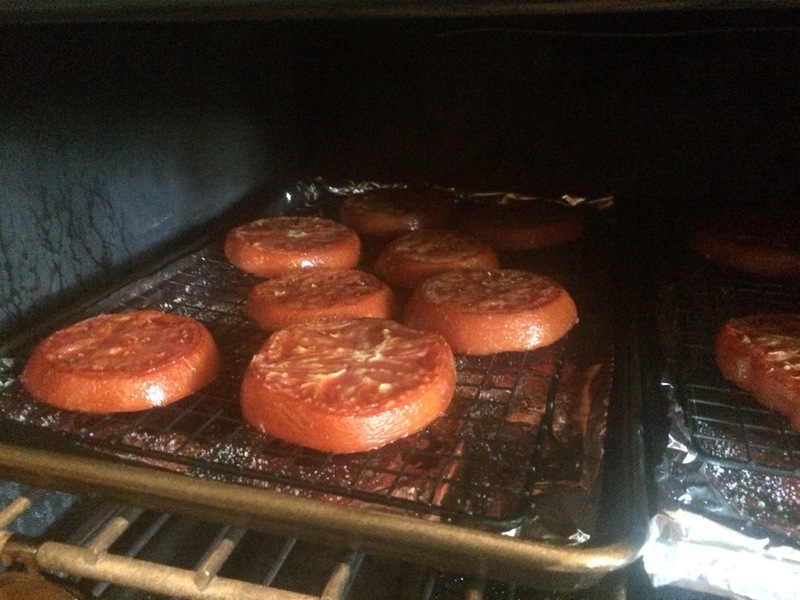 Oven-drying tomatoes is an easy way to concentrate their flavor while extending their shelf life. 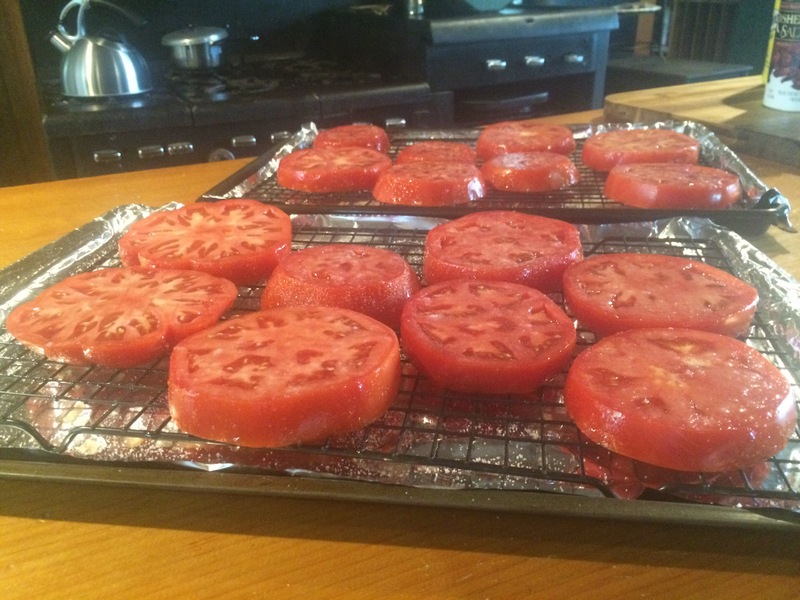 The tomatoes come out of the oven with a deep, rich flavor that will take your BLT or burger to the next level. 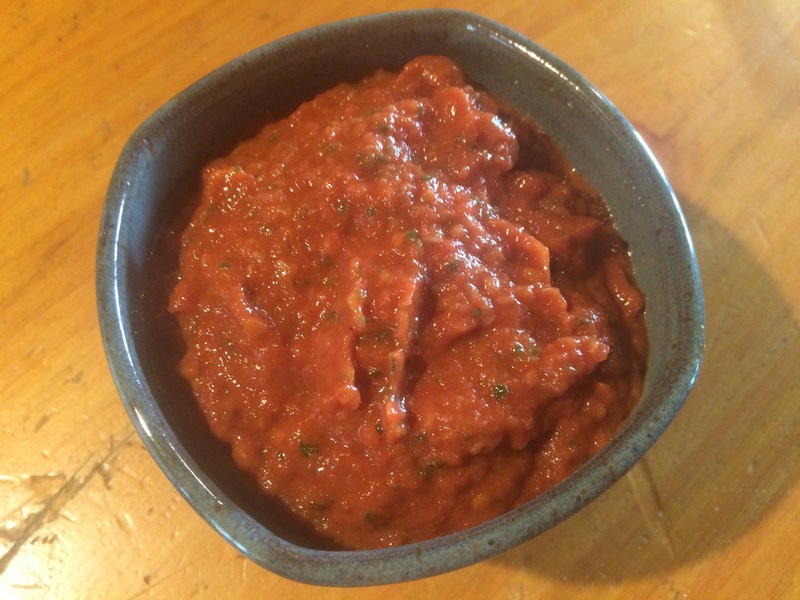 You can use oven-dried tomatoes almost anywhere you would used sliced tomatoes but my favorite thing to do is make them into a spread. 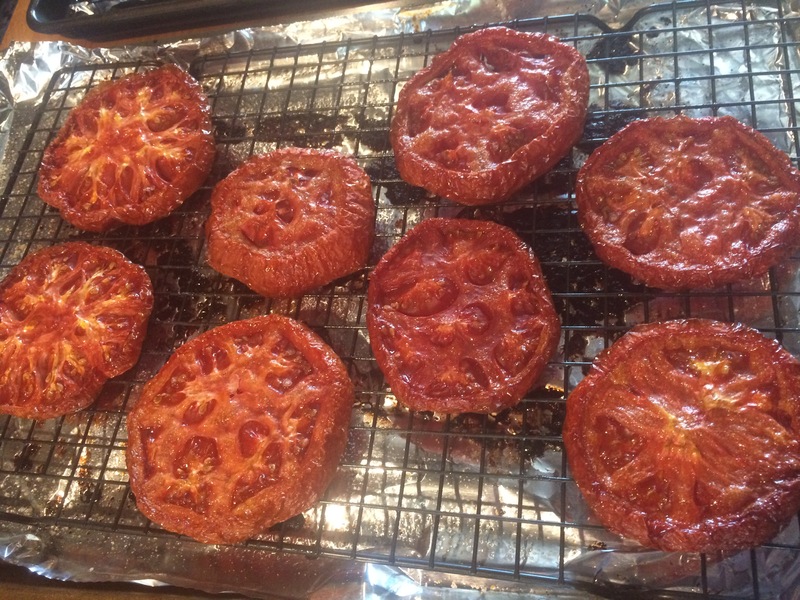 Before we get to that, let’s talk about how to make oven-dried tomatoes. 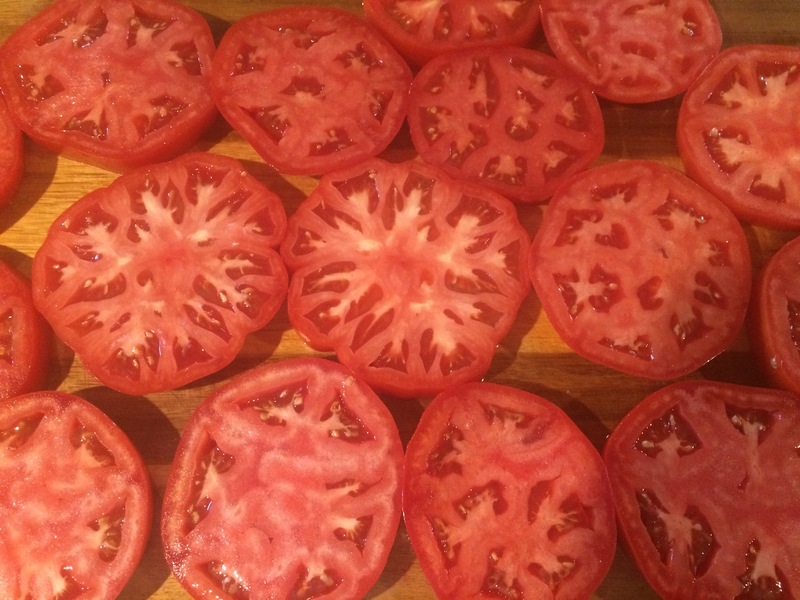 Slice tomatoes at least one inch thick, discarding the top and bottom. I usually get two slices out of a medium tomato and three out of a large. Coat the tomatoes in olive oil and sprinkle liberally with salt and sugar. Line a sheet pan with aluminum foil (this will make clean up a breeze later) and place a rack on top. Lay your tomatoes out on the rack being careful not to let them touch each other. Place in the preheated oven and set a timer for 3 hours. 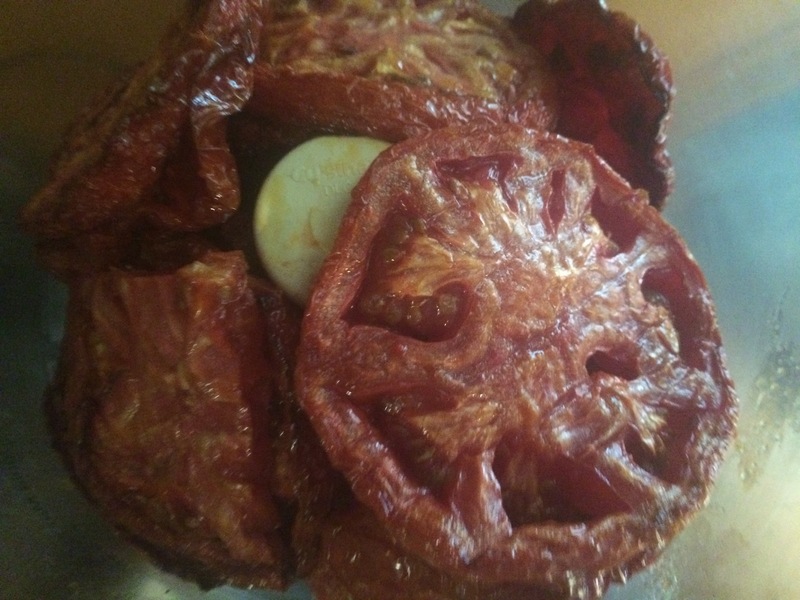 After 3 hours, remove from the oven and check tomatoes. If they are still a little moist on top, flip the tomatoes over and put them back in the oven for 30 more minutes. Combine all ingredients except olive oil in a food processor, making sure garlic and shallot are on the bottom. Pulse several times and then add the olive oil gradually while the machine is running. Remove from processor and refrigerate until ready to use. 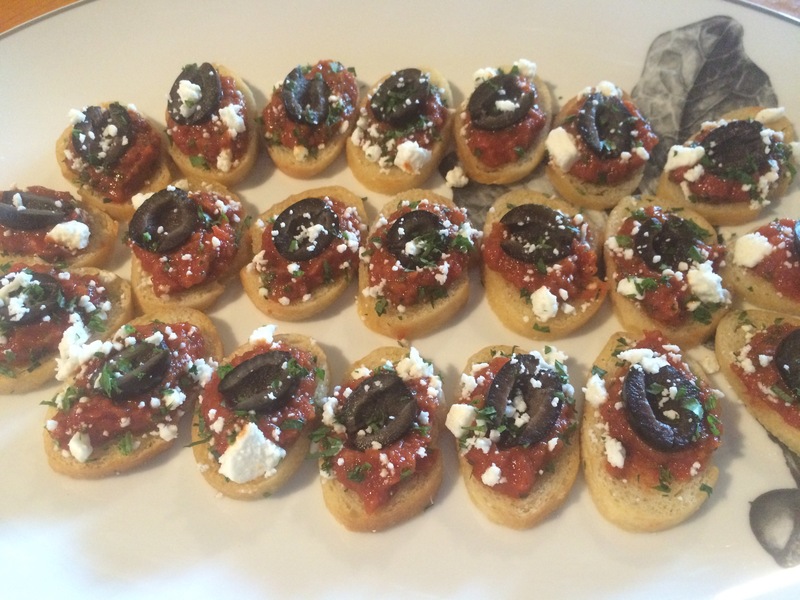 Spread on your favorite sandwich as a condiment, use in place of tomato sauce or top crostini with feta and olives for a fantastic appetizer.